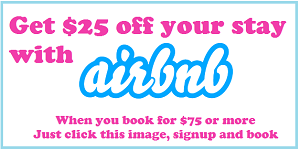 This is a post sponsored by Luxury Retreats. 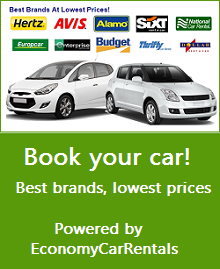 They’ve got some nice Sicily villa rentals which seem a good accommodation option if you are visiting Sicily as a party so – check them out. With quite a packed schedule you would be able to visit these within a 5-6 day trip on the island. However, I would advise to give yourself at least a week to be able to enjoy these sights in full. For me this is one of the most impressive collection of ancient temples I’ve seen, on one place. Dedicate a full day here as the archaeological site is quite large and includes a rich museum as well. 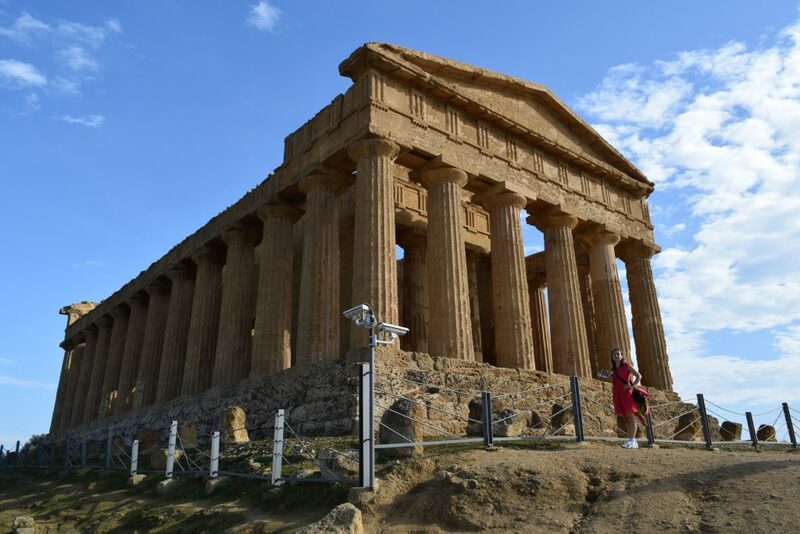 Agrigento’s Valley of Temples stands on the place of the ancient Greek city of Akragas and has the most preserved Greek ruins outside of Greece. Akragas was founded as a Greek colony in 6th century BC and had 10 magnificent temples built in it. But, shortly afterwards, in year 406 and it had been conquered by the Carthaginians who severely destroyed the city. Still, out of the 10 original temples, remains of 9 of them can nowadays be seen – among them temples of Concorde (the one most preserved), Zeus, Juno. Tip: first Sunday of each month there’s free entry to the Valley of Temples, including the museum. Мost sights and major touristic cities in Sicily are along the coastline. 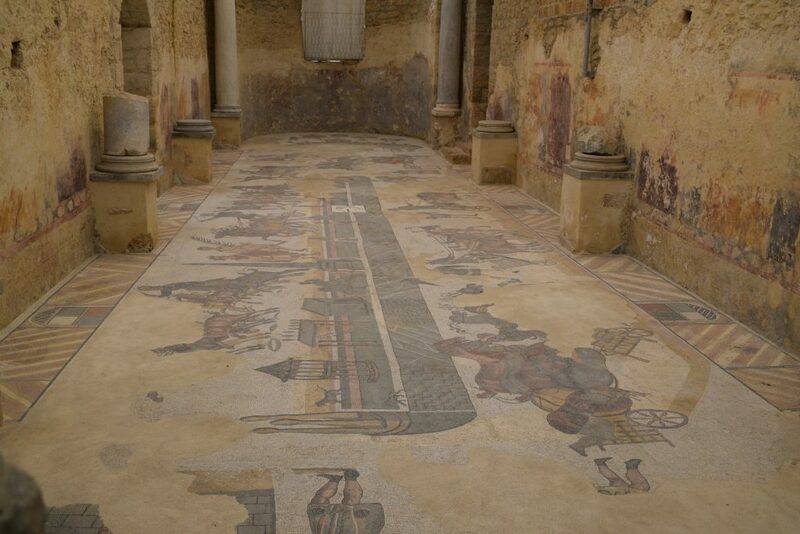 This absolutely impressive roman villa dating back to 4th century AD, however, stands almost in the middle of Sicily. Still, there are really good roads connecting it and no matter what part of Sicily you are exploring – make sure you check the villa out. Because of the splendor of the villa, represented by its amazing decoration and its huge size (the villa spans across almost 9 hectares), it is considered to have belonged to a really powerful person, perhaps even a governor of Rome. 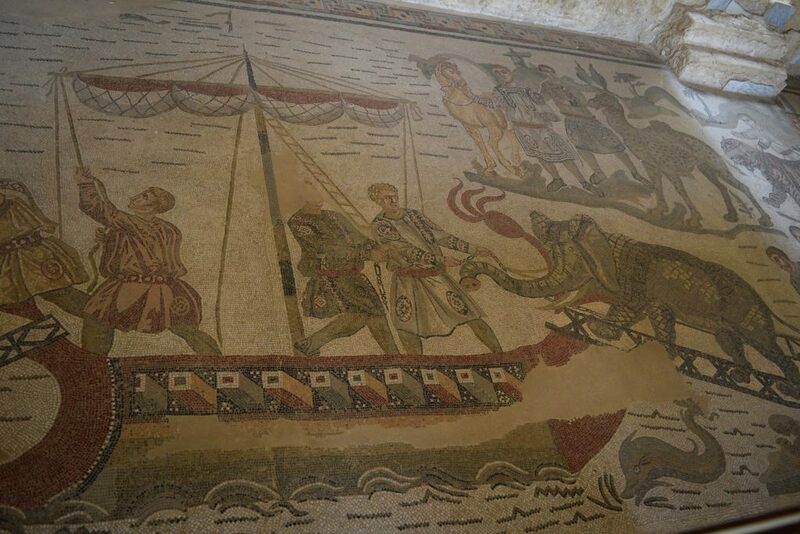 It is famous for having the richest, biggest and most well preserved collection of roman mosaics in the world, illustrating fascinating moments from the life and battles of ancient Romans. You need at least an audio guide (available at the entrance, for a small fee) to get a good understanding of the history of the villa. But if possible, try to join a guided tour. Most of us know Syracuse as the birthplace of the famous mathematician Archimedes. To me it is perhaps the most charming out of all Sicilian cities – with its historical city on the islet of Ortega and a number of impressive buildings concentrated around the main square. 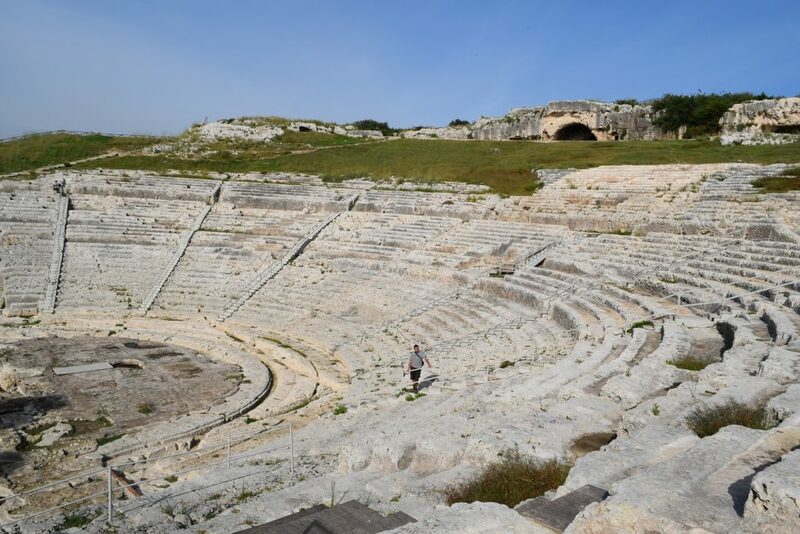 Do not miss the archaeology park with the biggest amphitheater (Teatro Greco) in Sicily, the Ear of Dionysus (a striking rock formation in the shape of an ear with amazing echo), a Roman amphitheater for gladiator battles, an altar to Heron II, where 450 oxen could be sacrificed at one time. This amazing archaeological site had been destroyed by the Spaniards in the 16th century to use the stones for building Ortygia city walls but has now been well recovered. The Aeolian islands are a group of 8 islands to the north of Sicily which can be visited by kayak, boat or ferry, from Milazzzo. 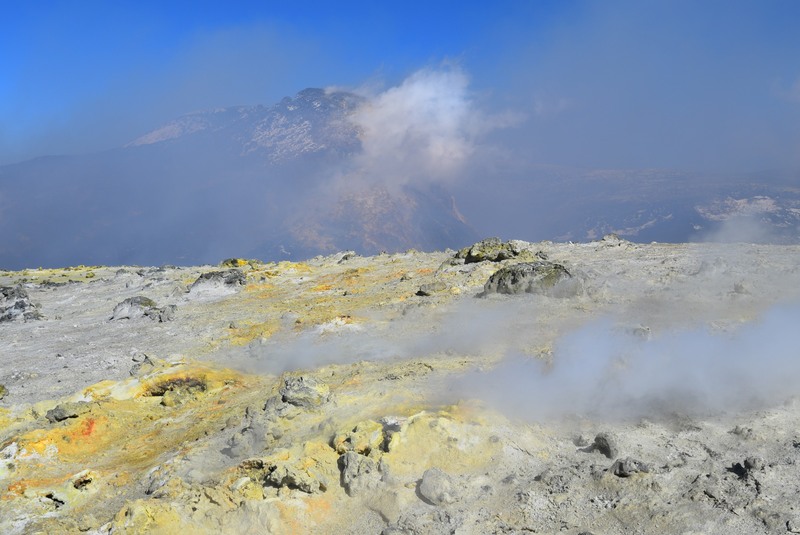 I would advise visiting Vulcano and Stromboli – the two islands having active volcanoes on them. On Vulcano you can take a sulfur mud bath and climb to the steaming top of the volcano. On Stromboli – climb to see the volcano eruptions, well visible after sunset (organized tours only, you’ll need shoes with a good thick sole and advance booking of your trip). Lipari – the biggest from the Aeolian islands – is also a wonderful place to stroll around. Check out my serious of several articles on the Aeolian islands. Mount Etna recently reminded about itself through its recent and quite powerful eruptions. I’m glad we managed to climb right to the top of it before and I do recommend everyone to try to do the same. Have in mind couple of things: First, via cable car and bus you can reach just below the top of the volcano – from there it’s another ~1-1.5 h walking to the caldera. But you don’t really need neither the lift nor the buses to reach this point. You can leave your car on the parking at the cable car base and then walk (~2h walking, mid steep) to the end stop for the buses. Second, the last group to the top seemed to be leaving around 10 am from the end point for the buses. So, make sure you arrive on time. The views at the top are stunning and well deserve the walking to the top, as well as the fee for your guide (mandatory). Taormina is a charming small city in the north east of Sicily, famous for its amphitheater (Teatro Greco or Greek Theater) – the second largest amphitheater in Sicily after the one in Syracuse. To me, however, it is one of the best places you can truly enjoy the mixture of cultures in Sicily. Since the 8th century BC, Phoenicians, Greeks, Romans, Byzantines, Arabs and Normans invaded and lived on the island, each of them leaving a small piece of their culture on the island. 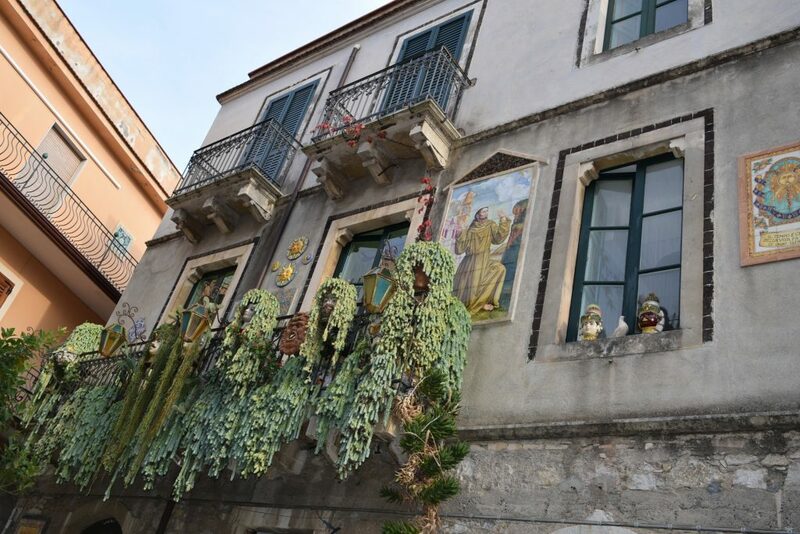 And in Taormina this amazing mixture can be easily seen in the architecture of the houses, in the decoration of shops, cafes and homes, in the local food and drinks, even in the appearance of the locals! When you enter the city of Noto you feel like in an open-air museum. All buildings are grand and consistently built in a Sicilian baroque style. The reason was a major earthquake in Sicily in 1693 after which totally destroyed the city. The architects hired to rebuild it decided to make it in baroque style using a soft tufa stone, which obtains a really nice goldish color under the sunlight. The city has a number of museums and lovely cafes. Make sure to climb up the bell tower or visit the Nicolaci museum (go to its terraces) to get a panoramic view of the entire city. 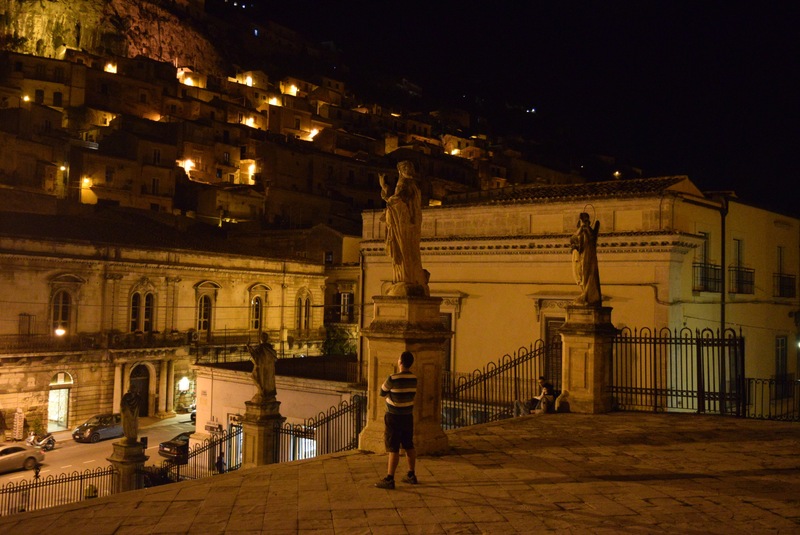 Modica, just like its neighbor town Ragusa is a truly picturesque baroque town not to be missed. It’s made up of lower and upper part and underwent a major rebuilding following the devastating Sicily earthquake of 1693. The city has a 400-year long chocolate production history. You may taste, in any workshop, chocolate spiced with chilly pepper, vanilla, cinnamon and whatever not flavors. Offload the energy taken in with a walk along the beautiful streets of Modica and pay a visit to the magnificent Duomo of San Giorgo. The walk is particularly impressive after dusk, when all major sights are well lit up. 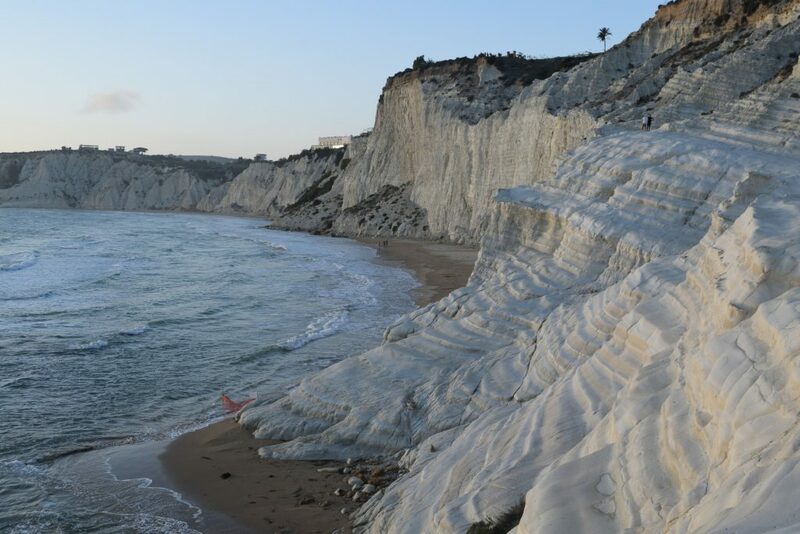 Scala dei Turchi (Stair of the Turks) is an amazing white rock in the southern part of Sicily, close to Realmonte. It is made up of marl – a rock known for its pure white color and it comes up in the form of stairs. Here the Arabs (called ‘the Turks’ by the locals) anchored their boats when they pillaged the region, hence the name of the rock. The staircase-like rock is very easy to access and is a popular place for watching the sunset. You can come earlier though and get down to the nearby sandy beach for some sunbathing. The capital of Sicily, hosting one of the 2 main airports of the island is quite a busy city and, despite the crazy traffic, including pedestrian one, is worth checking out. The cathedral and the Norman palace are two sights not to be missed. The cathedral’s appearance illustrates, once again, the mix of cultures in Sicily. It follows a generally Norman architecture, but has a Gothic entrance and one of the portico columns has been brought here from a mosque. Enter the cathedral to see the lavish decoration on the inside, including the decoration on the tombs of the nobilities inside. The Palace of the Normans was originally an Arab palace built for the local ruler, but under the Normans it was further enhanced and decorated. Since 1947 it’s the seat of the Regional parliament of Sicily. These 10 sights are must-see but for sure not the only ones to head to. Sicily is an amazing island and wherever you turn, you see history, amazing small islets, lovely beaches, charming cities and villages. Give yourself enough time to take up its beauty. Walk, rather than drive, explore yourself rather than follow major tourist paths. 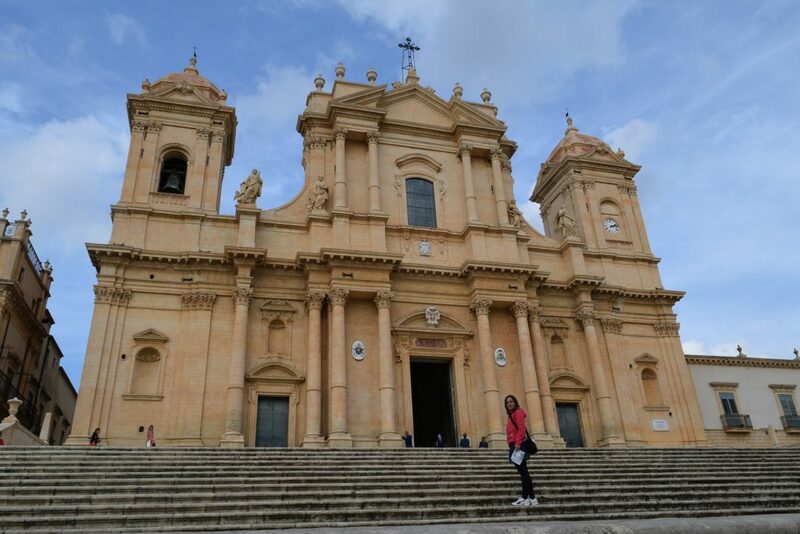 To me Sicily is not Italy, it’s a completely different atmosphere, different attitude and different culture. Be sure to visit it. Happy travels!